We should also be thinking about Christmas! My Nan always made her Christmas cake in September so it had time to soak up lots of Brandy, a far better way than baking on the 22nd Dec, making marzipan on the 23rd and icing on Christmas Eve - as has become a bit of a tradition here! So if you also put off your planning for Christmas and the New Year, why not make things a little easier by buying your friends and family a Mantel Farm Gift Voucher? Or booking them a place on one of our 2019 Training Courses? We have some lovely new courses taking place at Mantel Farm next year, led by some fantastic craftsmen, full of enthusiasm and experience in their craft. Our new Beekeeping Experience Day and Traditional Mead Making courses are available now to book on our website, or in our shop (more details below) as well our popular Beginners Beekeeping and Chicken Keeping Courses. Richard is a local greenwood working craftsman, with many years’ experience making greenwood and coppice craft products in and around the Battle area. Richard started out doing apprenticeships in 2005 with greenwood legends Mike Abbott (Living Wood) in Herefordshire and Ben Law (of Grand Designs fame) in West Sussex and has since worked full-time as a greenwood craftsman. Our full course details will be available very soon, but you can register an interest in these courses by contacting us and we will then send full course details as soon as they are available. We are also working with other craftspeople to offer more rural craft courses, so if these courses are not for you, please look out for new courses appearing on our website and in our newsletters soon. 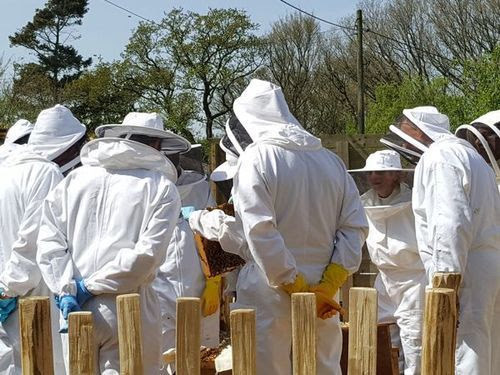 Last month we attended the Hop and Honey Festival at Scotney Castle, we have been battling the wasps around our Apiary (see Graham’s article below), enjoyed our first Mead Making Course, moved our ducks into the pig pen and got out and about installing chicken pens. Next month there are more pens to build, courses to run and animals to look after in our boarding pens (don’t forget to book soon if you are going away over the October half term as our pens are now getting booked up quickly). Introducing new birds is not easy! 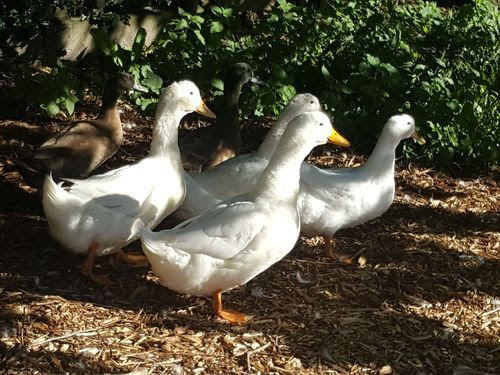 You certainly can't just chuck them all in together and let them get on with it, there will be a natural process of establishing the pecking order. For top tips to look for and actions to take, be sure to read Jason's latest "Introducing New Birds" check lists and fact sheets. With the long hot summer, several customers have reported a worm infestation within their flock. 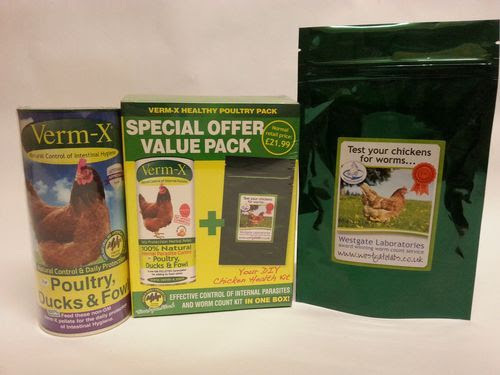 We recommend Verm-X Healthy Poultry Pack with Worm Count Kit. It can sometimes be difficult to spot the early signs of chickens having worms, so this month we are offering the kit at a reduced price of just £14.95 - a saving of £7.00! The bees should all be fed, treated and tucked up for winter now. Because of the good summer, I have not had to do much syrup feeding. I also had some winter stores rescued in the spring, stored in the deep freeze, to give back to a couple of colonies... read more about Amanda's bees and planting for bees in your garden. This course has come about from many conversations with our customers saying how interested they are in beekeeping, would love to know more, but do not plan to become beekeepers; so this beekeeping experience day gives the chance to simply learn all about bees, see inside a beehive and take home some lovely bee goodies. 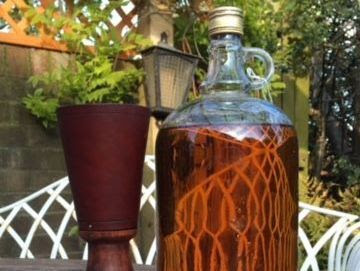 A fun course making this traditional drink, with all the equipment and ingredients provided, it just leaves you to take home a gallon of mead and the patience to wait just a few months before enjoying. Taking place in January, a place on this course makes the perfect Christmas Gift. 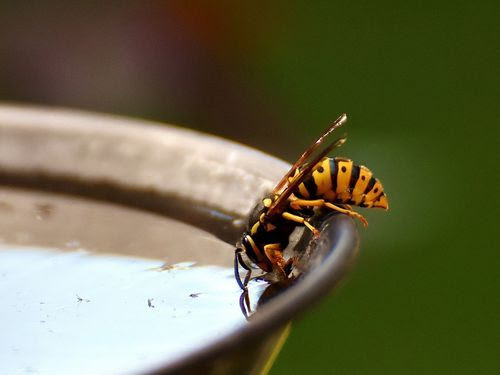 Believe it or not Wasps are a helpful creature to gardeners earlier in the year when they eat a wide range of pests including aphids and caterpillars. However the problems start in the autumn because unlike the Honey Bee, wasps have not developed methods of storing food for the winter. So as the wasp nests begin to collapse at this time of year, and the adult wasps become increasingly starved they look for any sweet liquid. The honey in a bee hive is very attractive to wasps and so they will attack weak colonies to obtain the honey stores and any larvae they can find which can result in the complete destruction of the hive. By this time the queen wasps have left the nest and mated and are searching for a sheltered spot to spend the winter. The queen will then normally emerge in mid-April to start another colony all again. Our vouchers make lovely gifts. 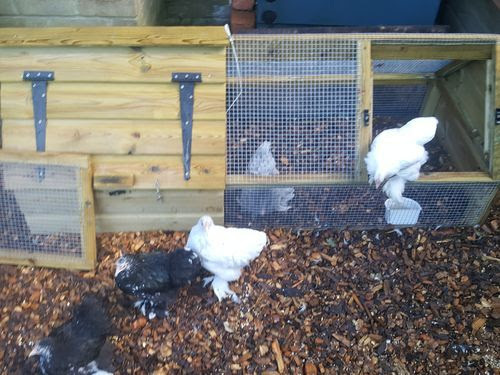 The money vouchers can be used for any item in our shop, from honey and beekeeping equipment to hybrids and bantam hens, or even go towards purchasing training courses. Our training vouchers can be redeemed for half day, full day or weekend courses.